Contains Active chlorine released from hypochlorous acid: min. 0.07 g/kg. The GROHE Blue Cleaning cartridge keeps your GROHE Blue system clean and in perfect working order – and that means great tasting water! 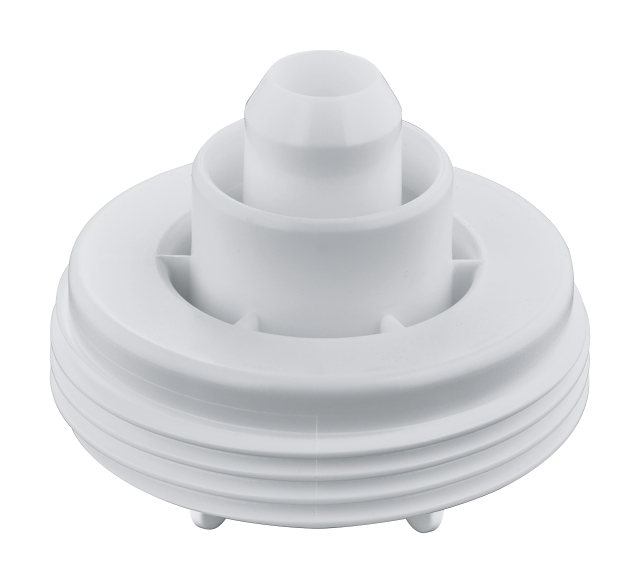 Use with the dedicated GROHE adapter (40694000) for maximum cleaning power. The cleaning agent, which guarantees 100% biological disinfection, is not harmful to humans. And the empty bottle is recyclable too. The GROHE Blue cleaning cartridge – helping to keep water pure. N.B. You cannot use the cleaning cartridge without the adapter.